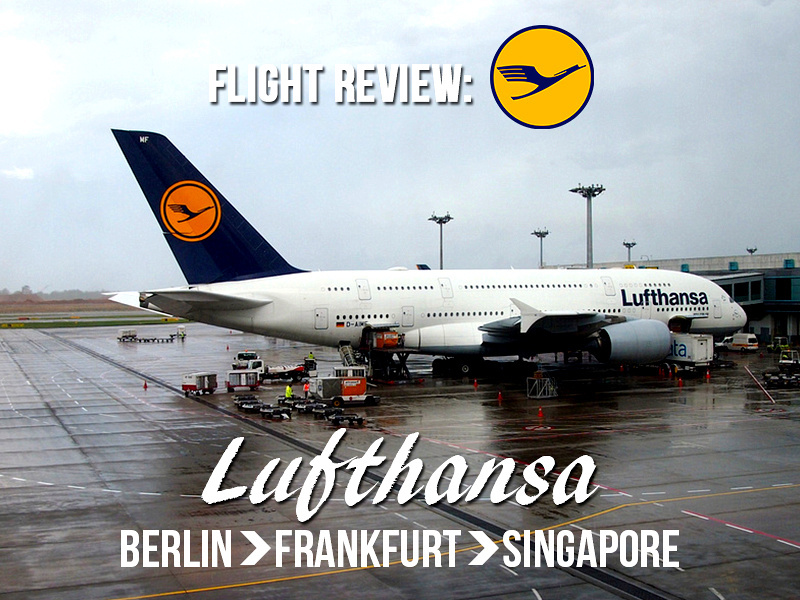 I flew with Lufthansa from Berlin to Singapore via Frankfurt. This was part of an open-jaw ticket from Ho Chi Minh City to Europe. 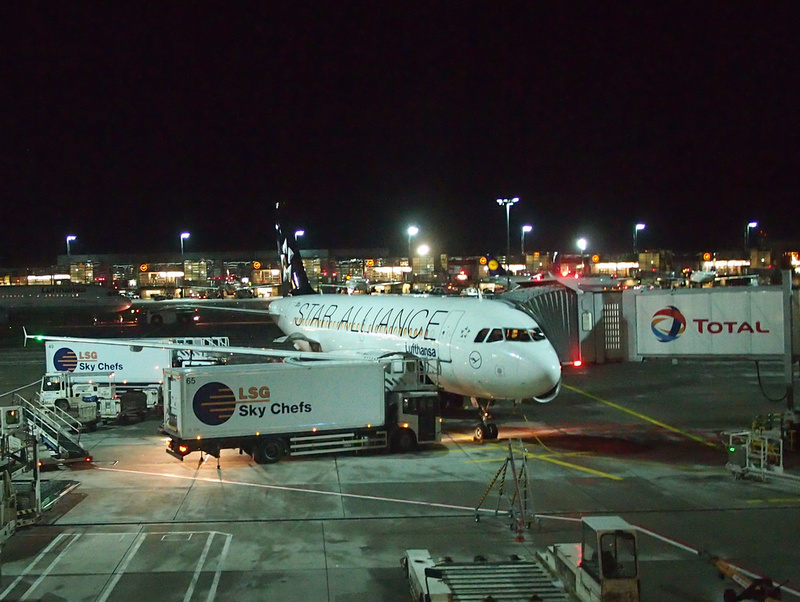 After numerous flight comparisons I picked a deal with a group of Star Alliance flights including Singapore Airlines and SWISS. 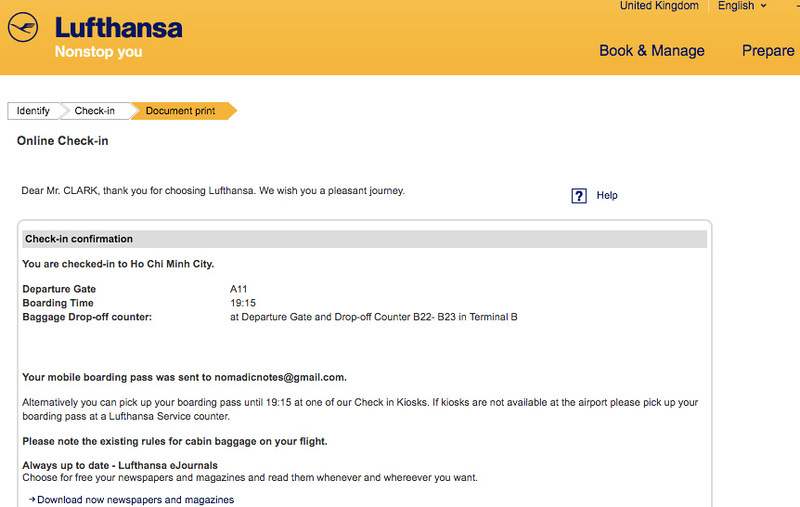 I had never flown with Lufthansa before so trying a new airline nudged me into a decision. I checked in online the day before the flight in order to select a desirable seat. With that stress out of the way I used the check-in kiosk to collect my boarding passes, and then take my bag to the counter. 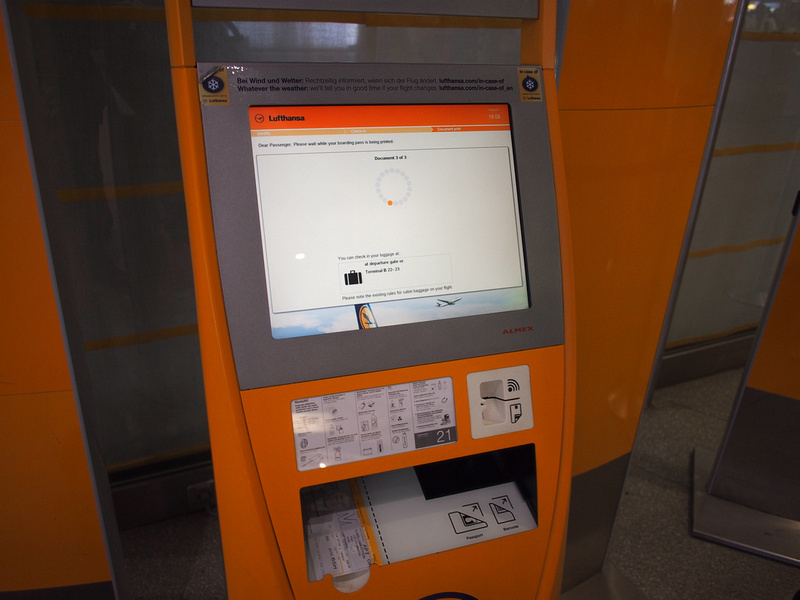 As there are dedicated counters at Berlin Tegel is was a quick process. 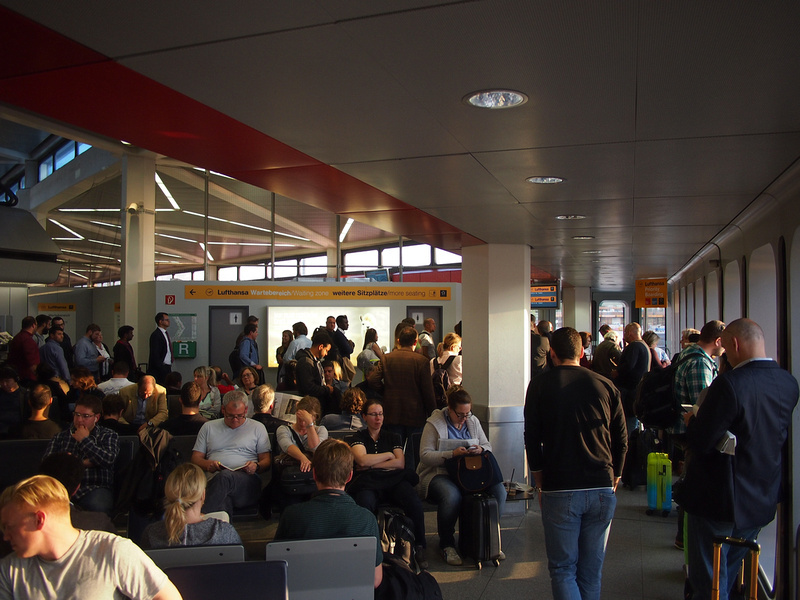 Berlin Tegel was due to close down when the new Berlin airport opened, except the new airport is still not open. With the extended delay this has given TXL lovers time to rally around their favourite airport and try and keep it open. The only reason you would love this airport is if you lived close to it. As the airport that served West Berlin it’s close to the city centre, which is its main advantage. Nowadays the airport is showing its age, and it wasn’t built for the current amount of passengers. The airside departure lounge was one of the most cramped I’ve been in, and there are barely any amenities there. 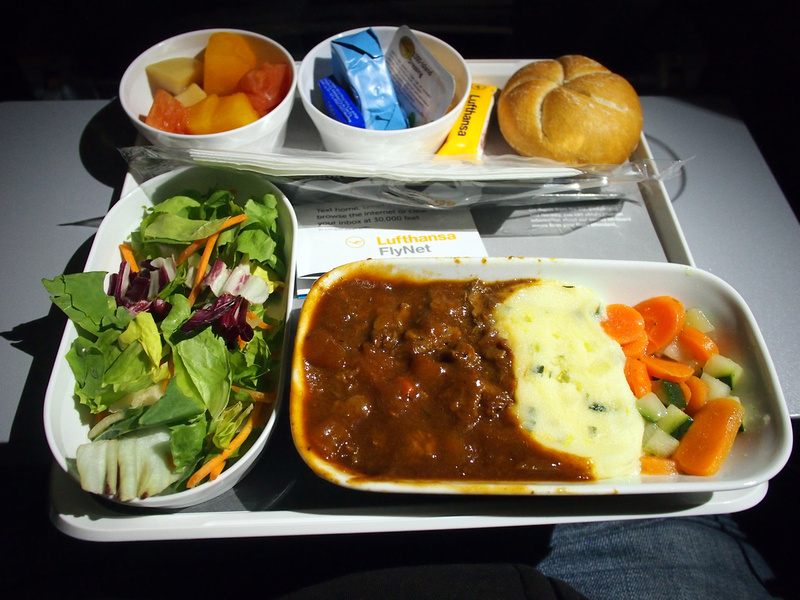 Not the fault of Lufthansa – I’m just painting the picture of what to expect when flying Lufthansa out of Berlin. 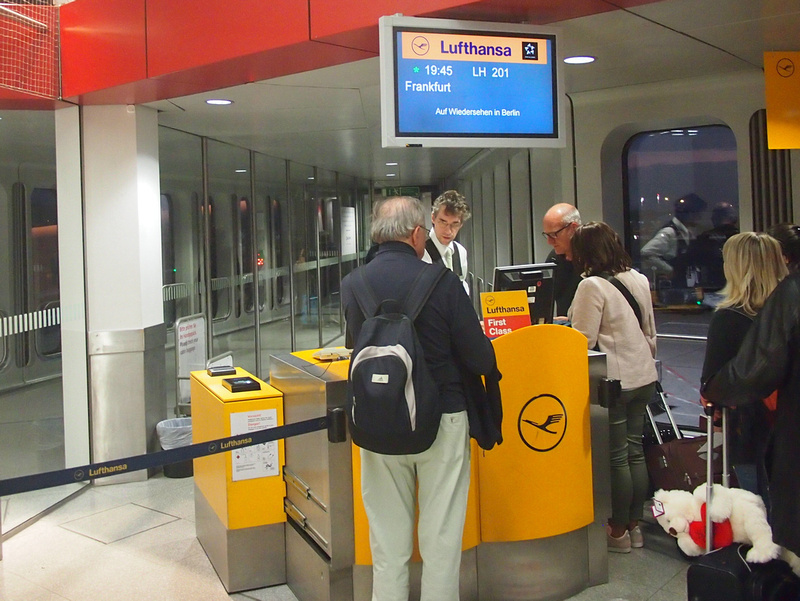 When I booked my flight I saw that there was exactly one hour to transfer between planes in Frankfurt. That’s a bit tight for my liking, but I figured they wouldn’t sell me a flight that I couldn’t make. It turns out that the flight was delayed by about half an hour due to storms in the south of Germany. I was a bit anxious before we boarded that I would miss my flight. In the end I though I figured if I miss my flight then so be it. The scheduled duration is 1H, 10M with the flying time less than that. 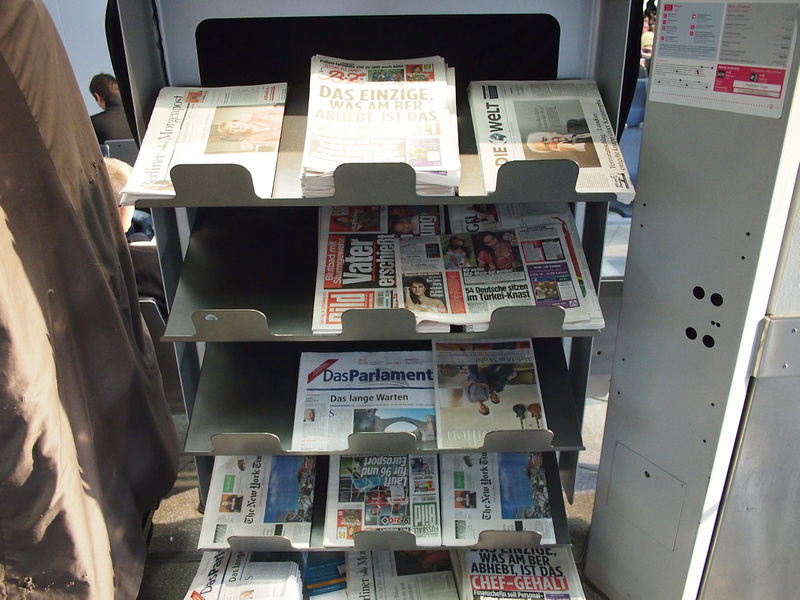 Free newspapers (no English ones there). 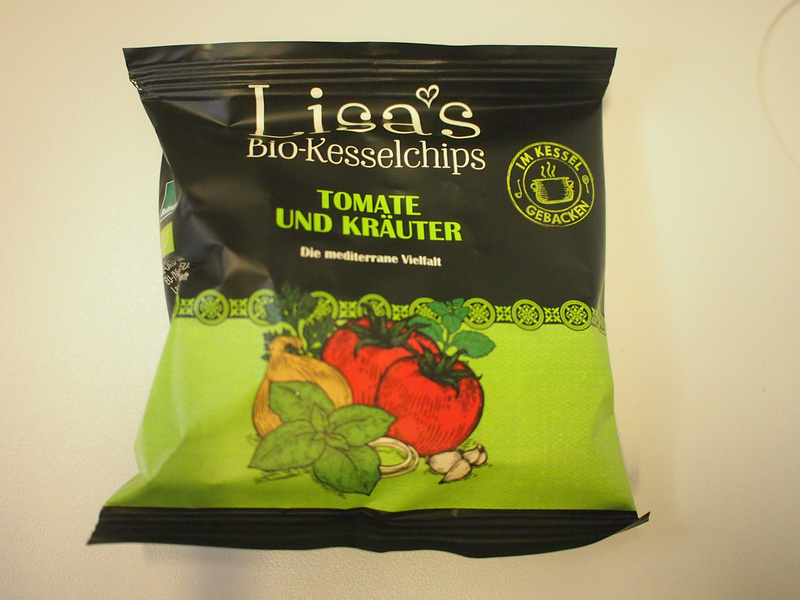 A little welcome snack of fruit chips. 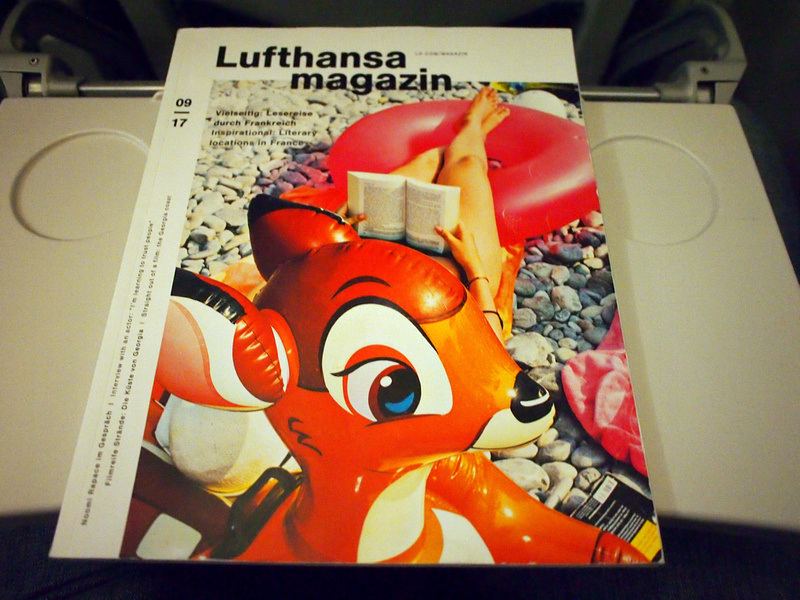 Lufthansa Magazin – the inflight magazine of Lufthansa. 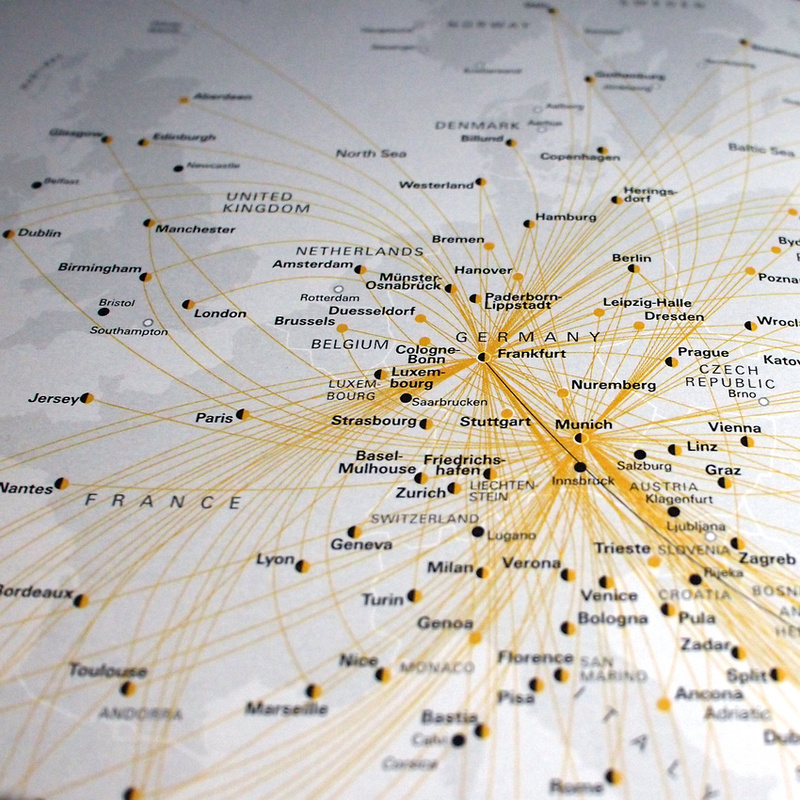 As you can see from the route map, most international flights are served from Frankfurt and Munich. Berlin was obviously never a hub while it was split in two, and it has been waiting for years for its three airports to merge into one giant airport. Once the new airport is open maybe Berlin will get more international flights. 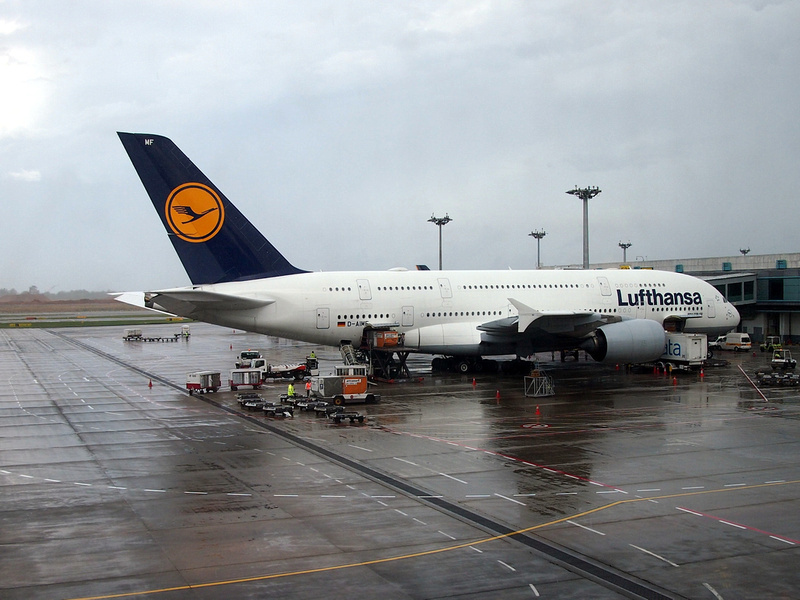 For now, there is an hourly airlift from Berlin to Frankfurt for onward connections. My flight made up some time so I still had time to get my next flight at Frankfurt. Frankfurt Airport is huge and my flights seemed to be at opposite ends to each other. 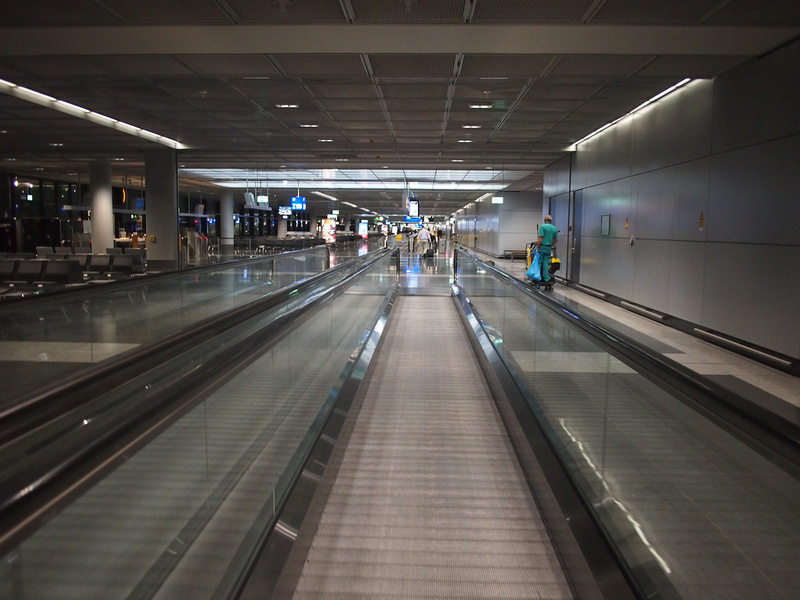 I power-walked vigorously with the aid of all of the travelators. After passing through immigration I continued my speed walk and found that I was the last person to board. Luckily they hadn’t got to calling my name. I assume they would know I was on my way. 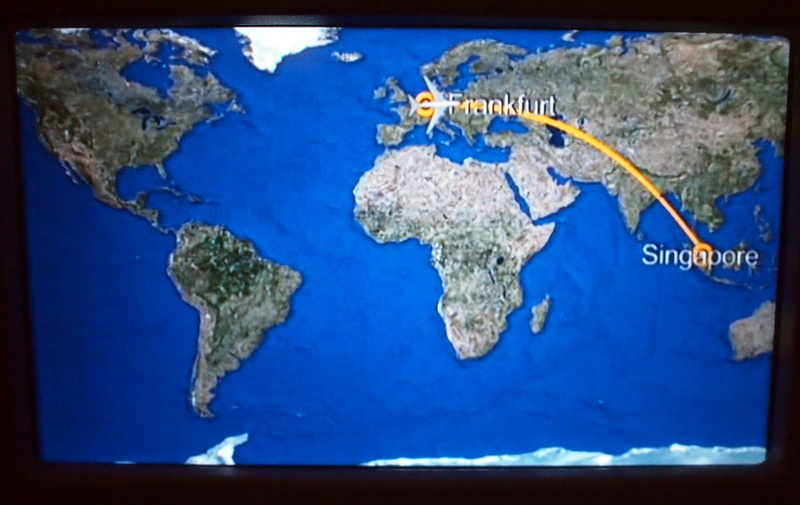 The flight from Frankfurt to Singapore is with an A380, with a scheduled duration of 11H, 52M. The flight leaves at 21:55 and arrives in Singapore at 15:53. 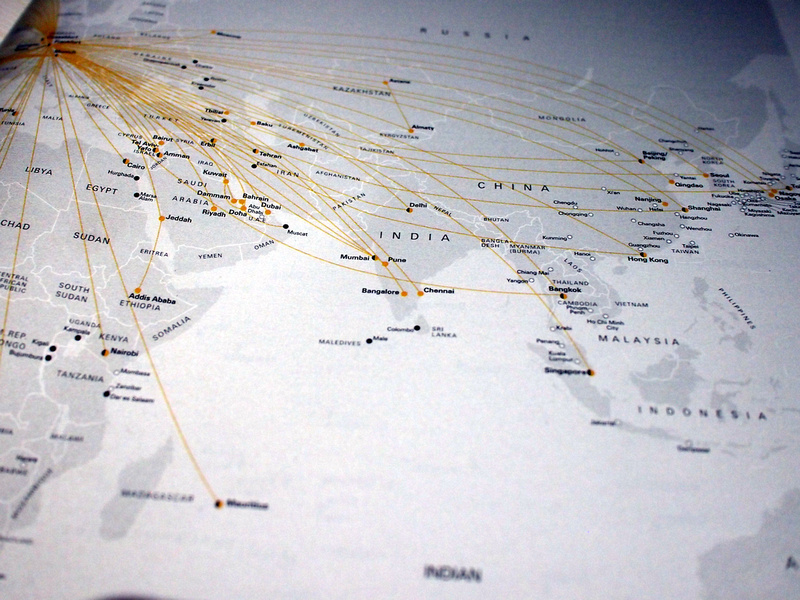 Lufthansa has an extensive network of flights across Asia. A much welcome welcome drink and peanuts. 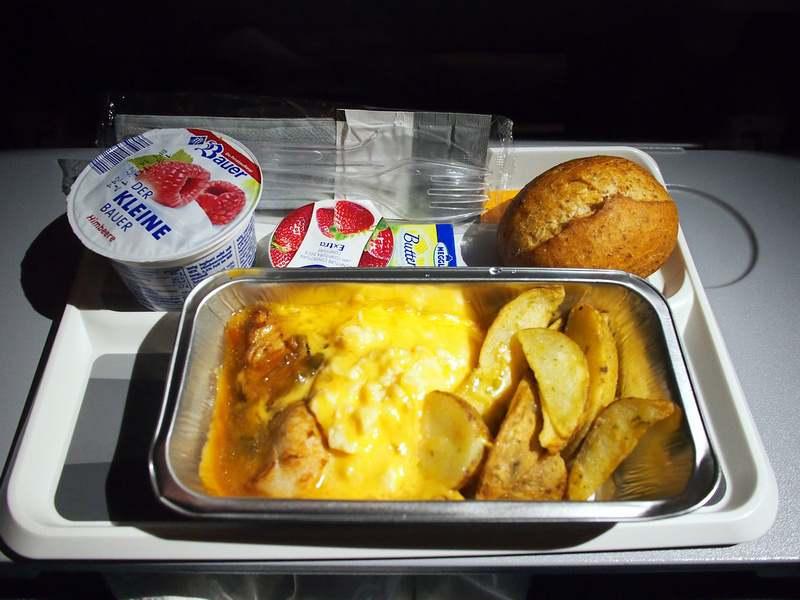 Dinner is served shortly after take off. I got the beef option and is was a tasty meal. 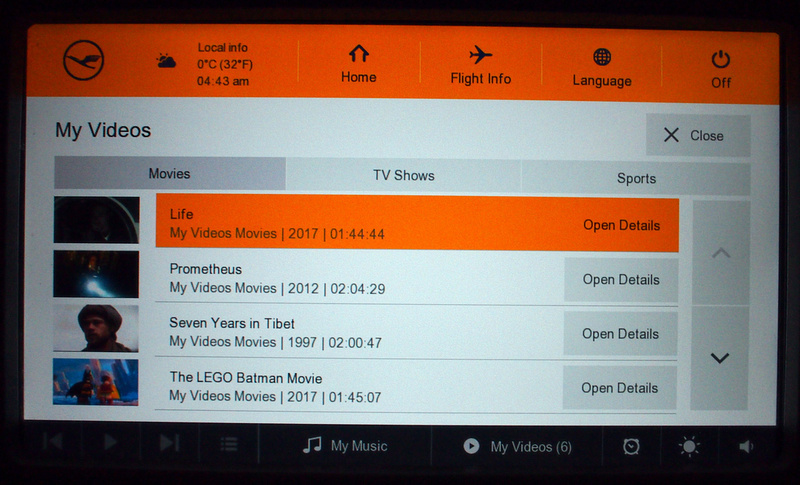 There is a good selection of movies in the inflight selection. I liked that you could bookmark movies that you are going to watch. I often spend half an hour agonising over what to watch, so this is a good way to get the decisions out of the way, before my brain turns into a delirious mush. I don’t sleep on flights, so I settle in for an all-night movie marathon. Breakfast is served even though it is lunch in Singapore by now. 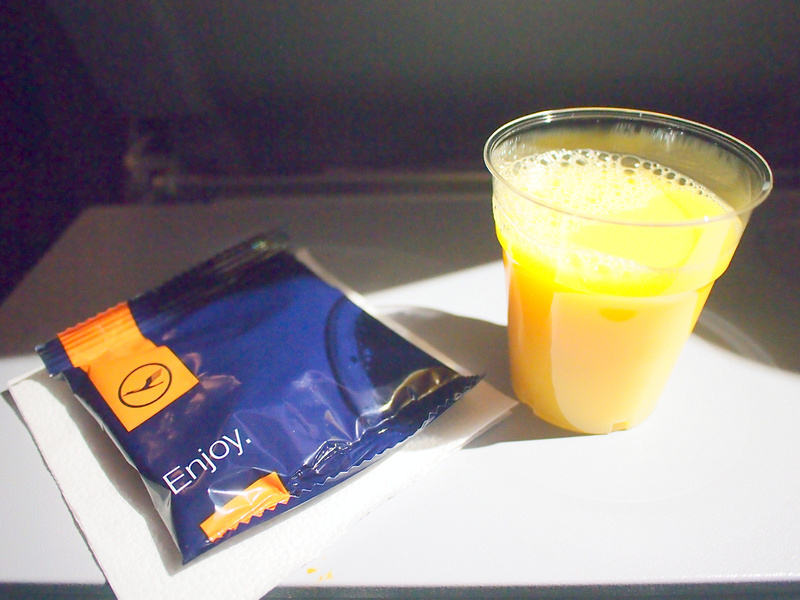 In the air it is still breakfast time. I guess you would call this a hearty German breakfast. The flight arrived on time in Singapore, which gave me enough time to catch my next flight with Singapore Airlines to Saigon. 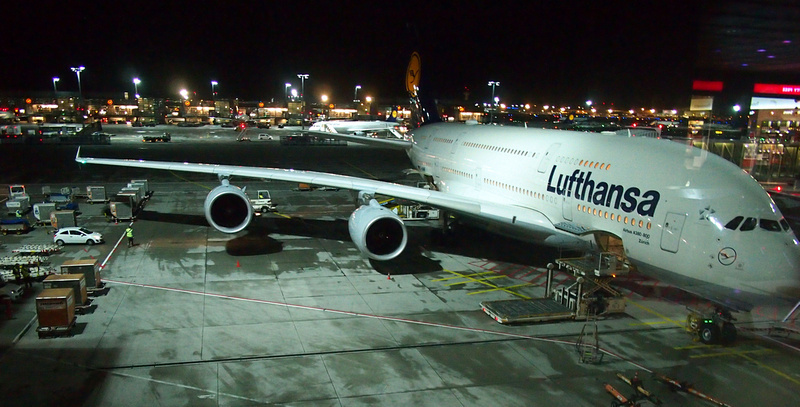 I enjoy flying with A380 aircraft, and this was a pretty decent flight with good service. 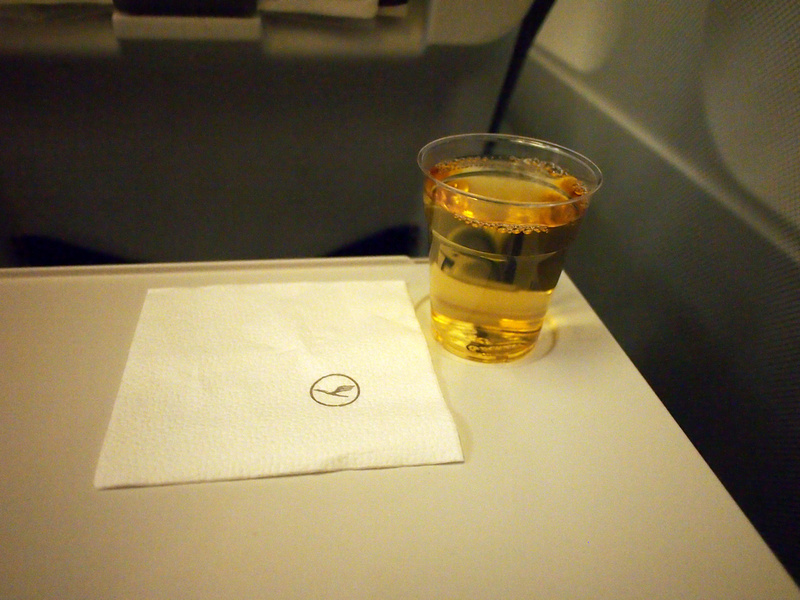 I would be happy to fly with Lufthansa again.